ESPN the Magazine has put together a music issue featuring athletes posing as famous album covers. 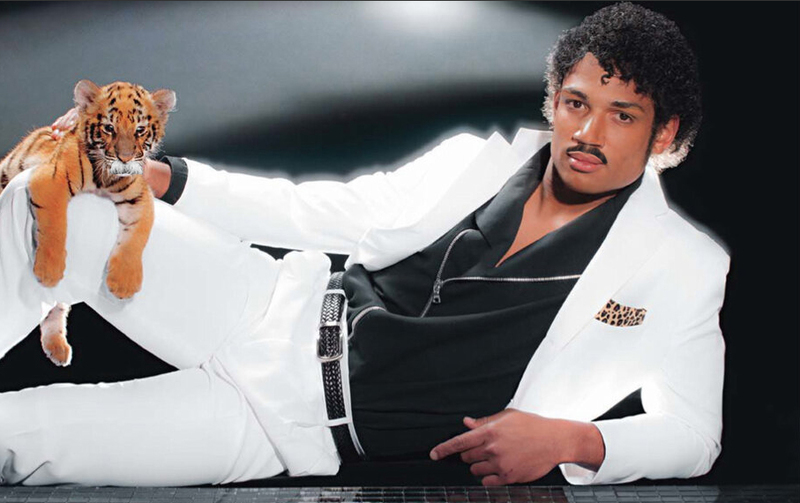 Here is Tampa Bay Buccaneers quarterback Josh Freeman as Michael Jackson (slightly modified) on the Thriller cover. The issue also features NASCAR driver Jimmie Johnson as Bob Dylan and track and field sprinter Allyson Felix as Beyoncé. You’ve got to give it to ESPN the Magazine for knowing their audience. They took athletes their readers might usually not care about and dressed them up as musicians they probably don’t care about. This entry was posted in Animal Steesh, Celebrity Steesh, Fake Steesh, Musician Steesh, Sports Steesh, What If They Grew A Steesh... and tagged allyson felix, beyonce, Bob Dylan, celebrities, entertainment, ESPN, ESPN the magazine, Football, Humor, jimmie johnson, josh freeman, Michael jackson, Moustache, music issue, mustache, NASCAR, nfl, sports, sprinter, tampa bay buccaneers, Track and field on February 6, 2013 by Los Bulls. Here’s a quick two-for-one to get us through til tomorrow. 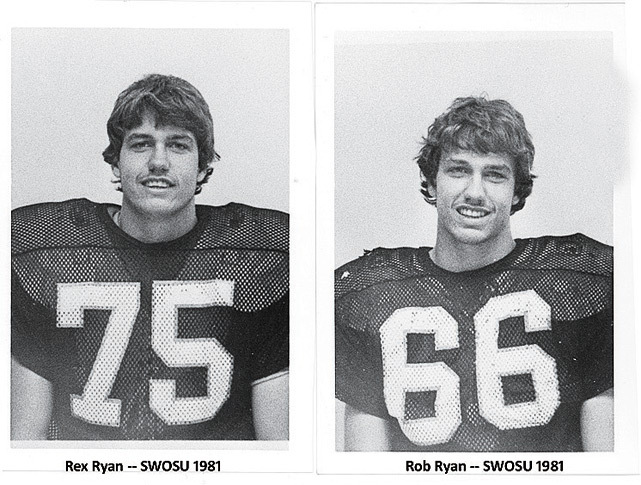 Rex and Rob Ryan are current NFL coaches but in 1981 they were members of the Southwest Oklahoma State University football team where they sported matching PENCIL THIN STEESHES!!! This entry was posted in Sports Steesh and tagged 1981, entertainment, Football, football coach, Humor, Moustache, mustache, mustaches, nfl, rex ryan, rob ryan, Southwest Oklahoma State University, SWOSU, university football team on February 5, 2013 by Los Bulls. 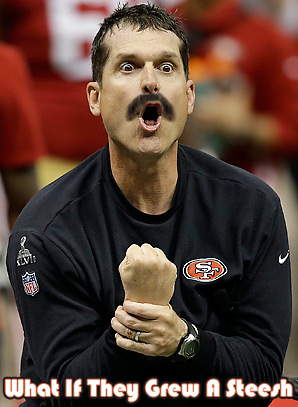 I think adding a mustache to this picture of Jim Harbaugh is the only way to make him appear any CRAZIER, unless you were to surrounded him with like 35 cats. This entry was posted in Sports Steesh and tagged 49ers, baltimore ravens, cats, entertainment, Humor, jim harbaugh, Moustache, mustache, mustaches, nfl, San Francisco, sports, super bowl on February 4, 2013 by Los Bulls. Who is going to win the Super Bowl? 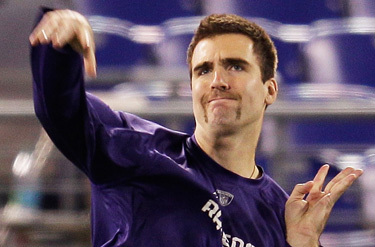 Well it’s all up to Joe Flacco. Last year he had a pretty nice mustache and he went and shaved it off for some reason. If he comes out with a steesh on Sunday I’m betting all my money ($11) on the Ravens. This entry was posted in Sports Steesh, Uncategorized and tagged 49ers, baltimore ravens, comedy, entertainment, Foosball, Football, Humor, joe flacco, money, Moustache, mustache, nfl, ravens, sports, Steesh, super bowl, who is going to win the super bowl on January 31, 2013 by Los Bulls. 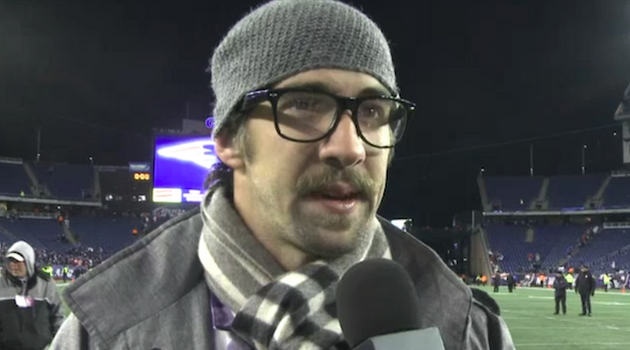 Michael Phelps was on the sideline to watch the Ravens beat the Patriots last night. If I saw him on the street looking the way he did last night, there’s no way I would be able to recognize him. In fact, if I saw him anywhere dressed in anything other than a swim suit and swim cap, I probably wouldn’t take notice. Phelps, who is a big fan of the Ravens, said that he drew inspiration from Ray Lewis to come back and train for the 2012 Olympic games. No word yet who Phelps murdered in order to start his comeback. This entry was posted in Sports Steesh and tagged 2012 olympic games, baltimore, baltimore ravens, comedy, entertainment, Football, Humor, inspiration, michael phelps, Moustache, mustache, nfl, olympic games, ray lewis, sideline, sports, super bowl, swim suit on January 21, 2013 by Los Bulls. 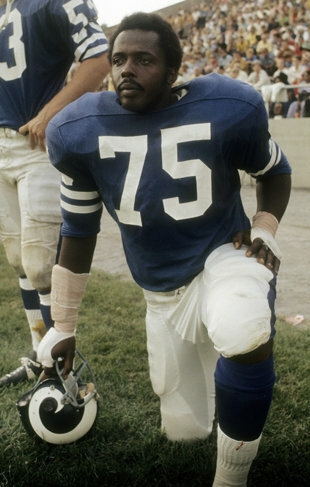 This entry was posted in Sports Steesh and tagged cliff harris, cowboys, coyote hills, dallas, dallas cowboys, daniel plainvie, entertainment, Football, Humor, ladies and gentlemen, Moustache, Movies, mustache, nfl, oil man, oil ventures, probowl, safety, sports, super bowl, there will be blood on December 11, 2012 by Los Bulls.